A woman in her 50s is believed to have been abducted by hijackers in Durban's Morningside area. The incident took place in Powell Road, this morning. Details are scant at the moment but video footage shows a group of armed men accosting her as she gets out of her vehicle and forcing her back in. Spokesperson for Marshall Security, Kyle Van Reenen says officers from the private security company and police are on scene at the moment. "Reports from the scene indicate that four males armed with handguns hijacked a 54-year-old female of her VW Polo. The victim has been reportedly taken with the vehicle. The SAPS and Marshall Security are trying to ascertain further information," Van Reenan said. 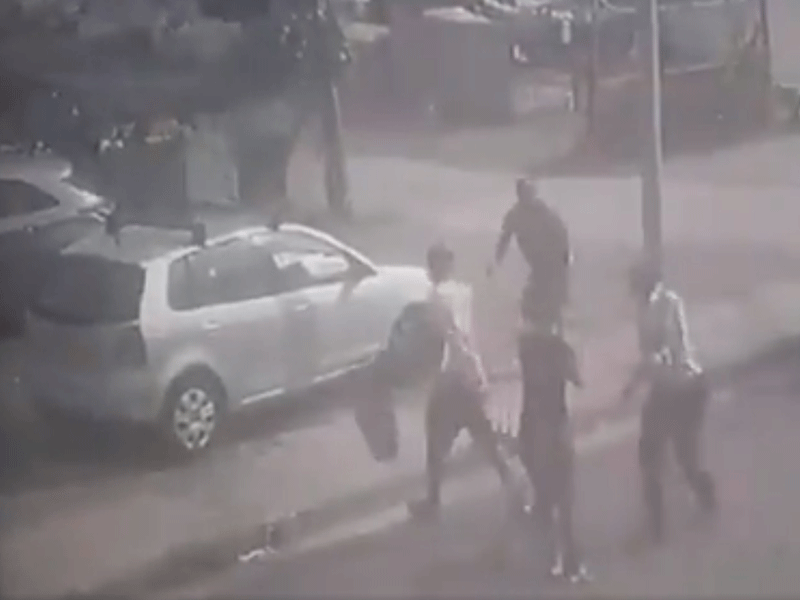 Watch CCTV footage of the moment the abduction happened.